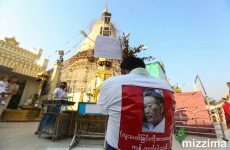 A crowd of about 300 Buddhists today attacked a Muslim school in Yangon’s Thar Ka Ta township, which was established since 2001 as permitted by the Ministry of Religious Affairs. A puzzle arises as an official letter from the Municipal office appears today on February 17, which is Sunday. The letter is concerned with the school’s application for permission to repair the roof. The letter instructed the school administration to demolish the section higher than the original height. Issued on the 17th, the letter forced the school administration to take action on the same day. The question to be asked is if the Municipal office was running on Sunday. Even more, proper action was to be taken care of by the school. But it was Buddhist residents who demolished the school on the same day as the letter was issued. The next question to be asked, or rather investigated, is how the mob attack took place on the same day as the official letter. Was it instigated by those in the Municipal office or township administration? Issuing an official letter on Sunday, and the mob taking the action (as per the official instruction) on the same day are quite fishy. Here comes another puzzle. The Voice Weekly journal posted photos about the incident on its Facebook page, captioning it as “Conflict Due to Building A New Mosque in the Name of a School”. Many anti-Muslim comments appeared one after another. 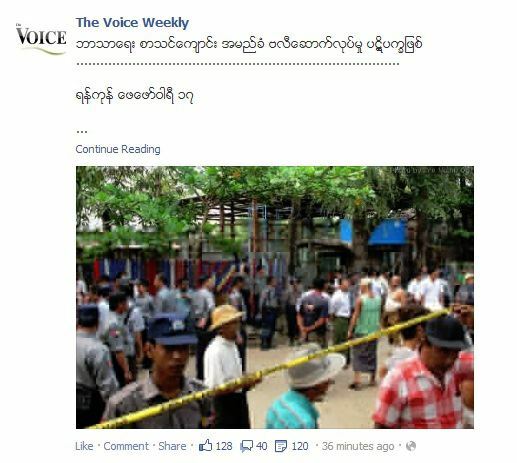 Not only photos, The Voice Weekly also posted an article in Burmese with the same title. 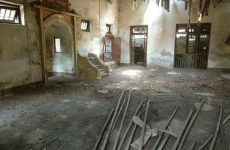 The article quoted anti-Muslim monk, Wirathu, saying that it was a secret plan to turn the school into a mosque. The Voice quoted him as saying that it was being built at night secretly. The article simply propagates the point that it is a mosque construction. Both photos and the article have been deleted by the Voice Weekly. How unprofessional The Voice really is, but it has renewed anti-Muslim wave in Myanmar. The Voice Weekly is the publication of Myanmar E-Grass, in which Dr. Kyaw Yin Hlaing, secretary of Arakan Conflict Investigation Commission and a Presidential Advisor is a key player. All these elements show one thing to the world that the network of Ashin Wirathu, The Voice Weekly, Municipal Office, Township Administration, Buddhist residents and the public are all acting together against Muslims. There have been much talk about justice and ‘rule of law’, but there is rarely any work to bring justice to those instigating and doing mob actions. This is not the first incident either. In 2011, there were similar mob actions in Hpakant, Kachin state, and in Kamma in central Myanmar. No legal action has been taken to any instigators. This is the time Myanmar Muslims must investigate the network of responsible individuals and groups and bring them to court.